Post to Instagram from pc: Instagram! I am sure that no one who is using the internet does not know about Instagram. There are many apps out there but few stand out and people admire those apps and become addicted to using those apps. Instagram is the one such app in the list. The popularity of this app is getting increased as days are passing, it will not be an exaggeration if I say its an app that tops the chart of the most famous apps. 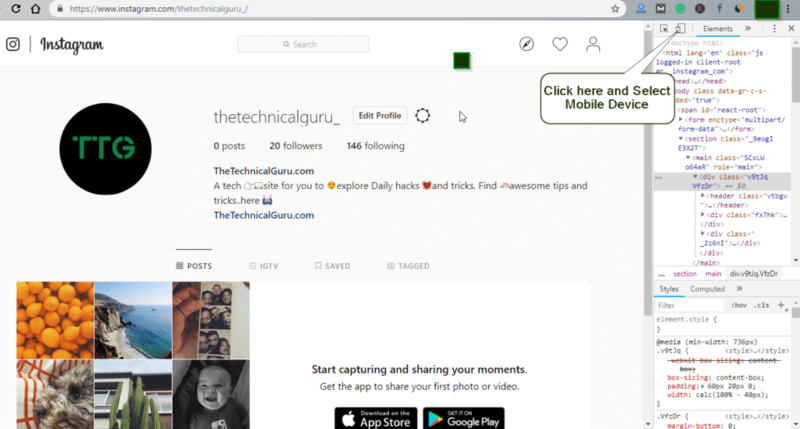 You must be using the Instagram on mobile and its great way to use this app. but have you ever wondered how to use this app on the personal computer? 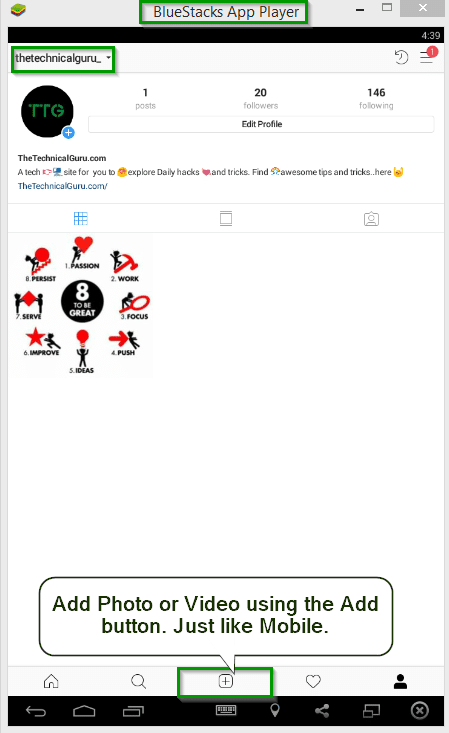 If you are using Instagram then you know that this app has very basic function and that is to post the photos and videos and then wait till you get love from your followers. 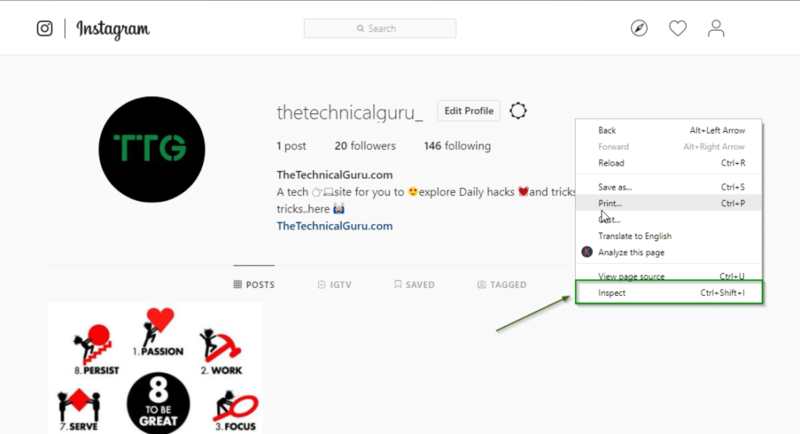 If you want to learn about how to post on Instagram from pc? or If you want to know how to post on Instagram from laptop? Then this article is going to help you do the same. Method#1-Using Developer’s Tool in Browser. But why we need to use the Laptop or personal computer pc for uploading the images on Instagram. The one prominent reason that most of the user stores their photos and videos at their computers dard disk. The reason can be limitised storgae space or photos are not awaliable in the phone memory. But whatever could be your reason, We are here to help you. There are two ways in which this task to post to instagram from pc. Now just don’t limit yourself to thinking that you can only upload images on Instagram using the pc, you can also upload video to instagram from pc. As I said earlier there are two ways you can do this we are going to go for easy one at first. browser in the world and we hope you are having it installed on your pc. Now you might be aware of Google Chromes use to search for anything on the internet but you might not know the other aspects of google chrome like the Developer Tool. 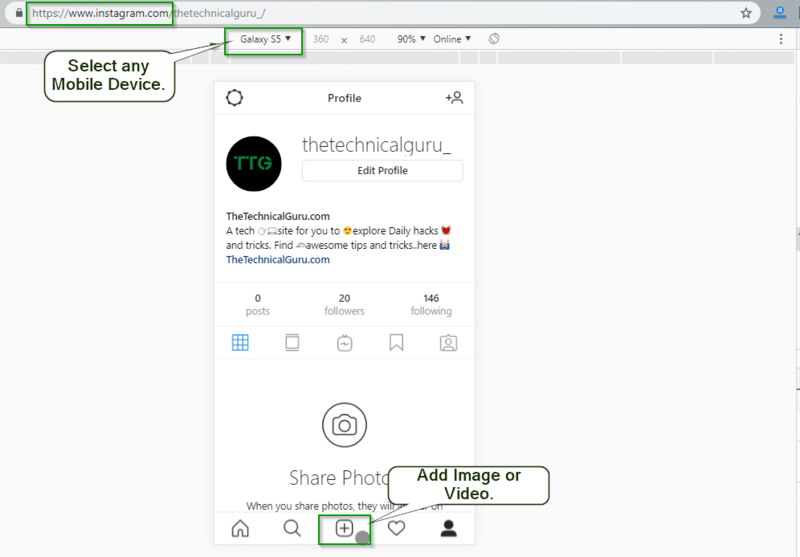 but wait what is the developer tool and how it is linked to image and video posted to Instagram from the desktop.. Instagram for windows desktop can be used using Crome. Go to the Chrome Browser and search for Instagram. Now click on the Instagram website their laptop and you will see the Desktop view of Instagram or pc view. Now Just Right Click on the same page and hover over to the inspect option. You can use the F12 Key as well to directly open the Developers tool. Now you must have open the Developer tool and the next step is to play with this developers tool. So follow the procedure explained below. The next step is to Right-click on your webpage and chooses to inspect. or directly click the F12 button. Now the next step is to Choose the Device from the inspect menu screen. Please see the the below image to choose the correct mobile size and hit Refresh. Now you can see the same screen of Instagram like chooses a mobile device. just click on add button and chose your Right-click image or Video you want to add from the PC. This is one method to upload video to Instagram from Computer. The next method to upload the Images and videos to Instagram using Emulator. Now, what is Emulator and how you can use this emulator to upload photos to Instagram from PC. Emulators are the software programs which allow users to use apps from another operating system like android to computer operating system like Microsoft. You must have got some idea about the emulators and how they function. To use the Instagram from pc you need to first download the Emulator app. The Bluestack is the Best emulator you can use for the windows to download the app and then use them on the pc. We are not going to explain the installation of the blueStacks Emulator on PC. 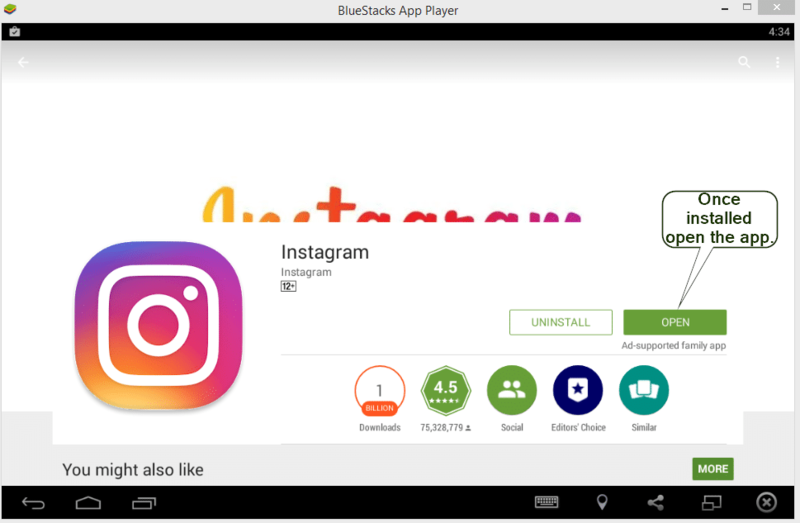 After installation of the blueStacks,please follow these steps to Know the way to Post to Instagram from pc. Blue Stack app interface to install apps. Then Search the Instagram app in the search menu. If app is not installed already then Install the app. This is what instagram looks like from Blue stacks,Just like Mobile Device you are using. 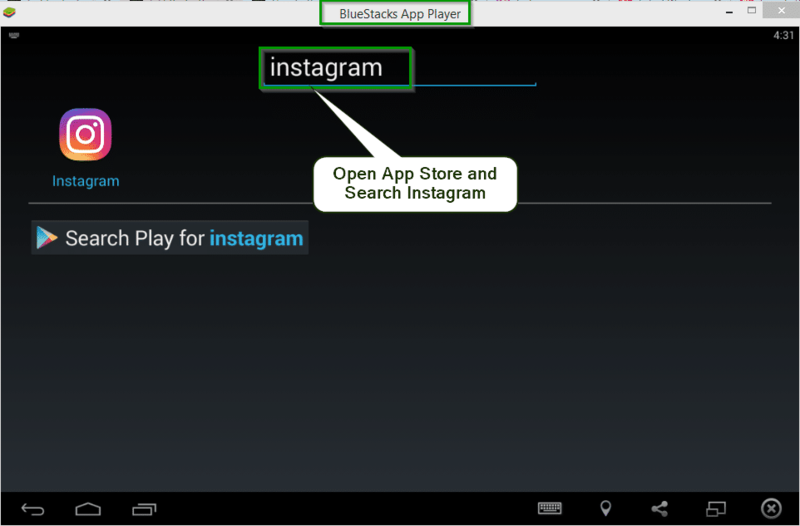 Look how simple it is to Post to Instagram from pc using bluestack emulator. There are other emulator programs you can choose. One thing to remember here is to understand all these emulators come with some predifined privacy settings and have there rules of using them. So this was all about how to post the image or video on Instagram using the PC. We are not at the concusion of this article in which we tried to explain the two methods by which you can Upload the Images or Videos on Insta. There may be some more methods which we haven’t listed here in this Guide.